Social media banking. UK bank first direct conducted a 1-month social media experiment with 40 self-confessed social media addicts (twitter and facebook). This social media experiment by first direct revealed that some Twitter and Facebook users suffer from severe withdrawal symptoms when prohibited to use these networks for 28 days. To make sure particpants follow the rules, volunteers are required to complete a questionnaire twice a week. Due to reduced communication with friends and family, some participants described extreme feelings of isolation while others felt frustrated. Some users lost contact with friends and family since Facebook is their only contact detail. On the other hand, Twitter addicts find it easier to cope with the experiment because Twitter is less social and users have other sources of information. As a response to this experiment, social media addicts had to find ways to spend their time such as doing household chores and spending more time with their kids. Even first-time social media users confessed addictive experiences when spending several hours a day posting status updates or sending tweets. Many also confirmed their intention to use Facebook and Twitter after the experiment. The Ultras – For many habitual social media users, the networks are their primary communications link to family and friends. The Deniers – Those who say that social media does not control their lives. But when they can’t access their favourite social network for an extended period they become anxious. The Dippers – These are not regular social media users. They access their accounts infrequently often for days or even weeks without posting an update. The Virgins – These are the new people that sign up to social media. The Lurkers – They just watch other people and rarely participate in social media conversations. The Peacocks – They see social networks as an opportunity to show everyone how popular they are. They judge their social standing by the number of followers they have or the number of likes or retweets their posts have. The Ranters – Ranters are highly opinionated online but are often quiet in face to face conversations. The Ghosts – These are the people that like to participate in conversations but do not give out their personal information. The Changelings – For some people being anonymous is not enough so they adapt different personalities. The Quizzers – Quizzers like to ask questions on Facebook and Twitter to start conversations. The Informers – Informers are usually the people who shares the news first to gather likes and retweets. The Approval-Seekers – People in this group worry about the number of likes or retweets their comments or their posts make. 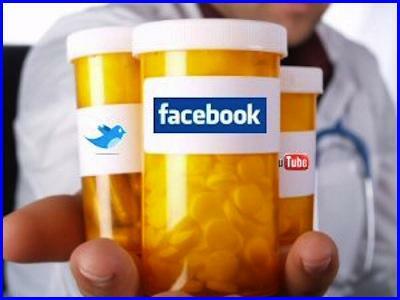 Are you a social media addict? Which of the groups do you belong to? How do you fare your social media behaviour, is it affecting the way you live or work? We invite you to share your thoughts on first direct‘s social media experiment, here or on twitter.